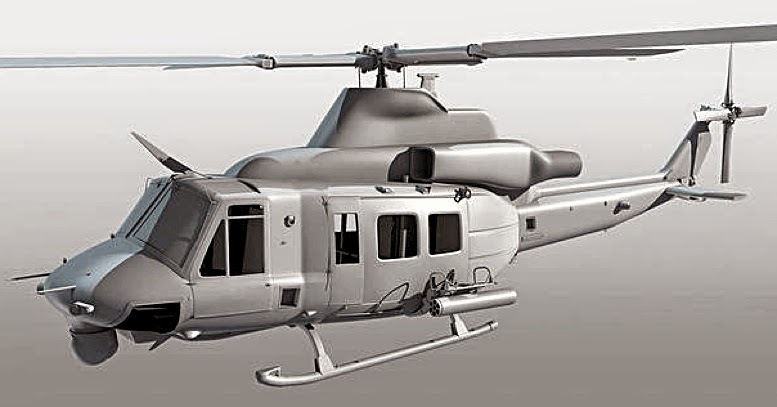 Attractive cgi visuals from Kitty Hawk trail the upcoming 1:48 scale Bell Huey Model UH-1Y Super Huey or Venom. SMN Report: Visuals like this give us a clear idea of what to expect with this miniature, slotted for near-future release, probably early 2015. 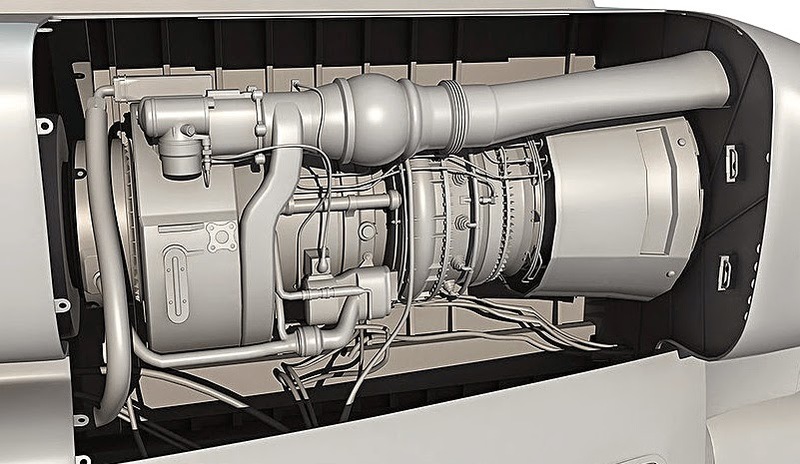 Particularly pleasing (above) is the exposed engine detail, which will really give diorama fans a chance - imagine this helo surrounded my maintenance techs in a steamy jungle or sandy desert environment. 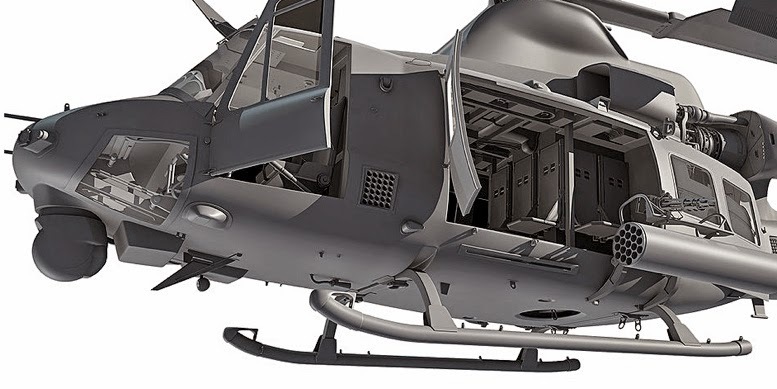 The UH-1Y is now the standard US Marine Corps utility helicopter, so anywhere the USMC goes can be a subject for a model display. Ordnance (below) looks to be well provided for, with a side-mounted chain gun, rocket pods and sensor pod under the nose. All the doors open, allowing you to clearly see inside, providing plenty of opportunities for impressive interior paint and weathering. 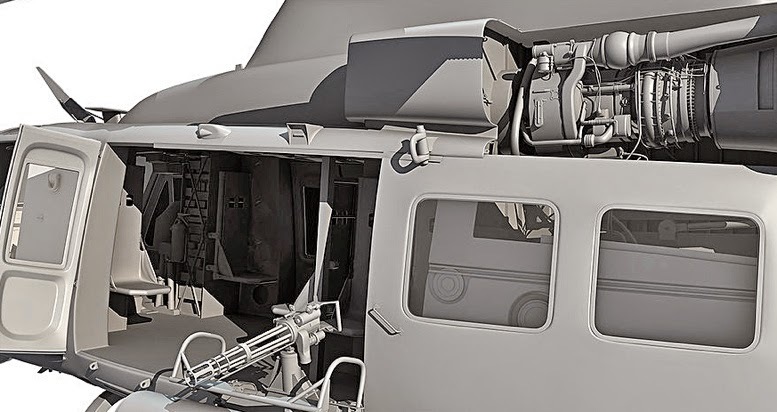 Closeup detail (below) looks mighty fine, so we are really looking forward to this kit, and especially to comparing its fit and finish, and general quality with the excellent 1:48 scale helos coming from Airfix these days. Kitty Hawk and Airfix helicopter kits available below - note massive offers on the Airfix kits which probably won't be around for long, so grab 'em while you can. 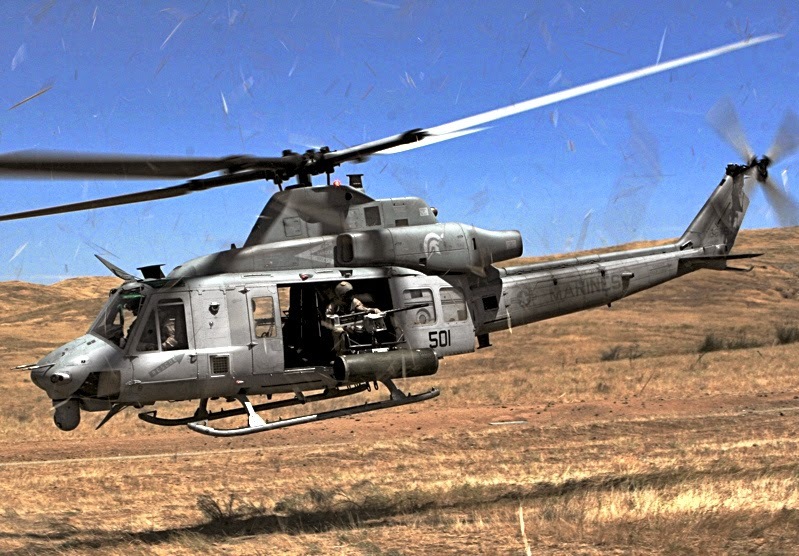 Picture (below) shows a UH1-Y of the Marine Light Attack Helicopter Training Squadron 303, Marine Aircraft Group 39, 3rd Marine Aircraft Wing, preparing to land at Camp Pendleton, California. Courtesy USMC, Lance Cpl Christopher O'Quin.